Product categories of Adult Diaper, we are specialized manufacturers from China, Adult Diaper, Adult Disposable Diaper suppliers/factory, wholesale high-quality products of Adult Diaper Calabash Shape R & D and manufacturing, we have the perfect after-sales service and technical support. Look forward to your cooperation! 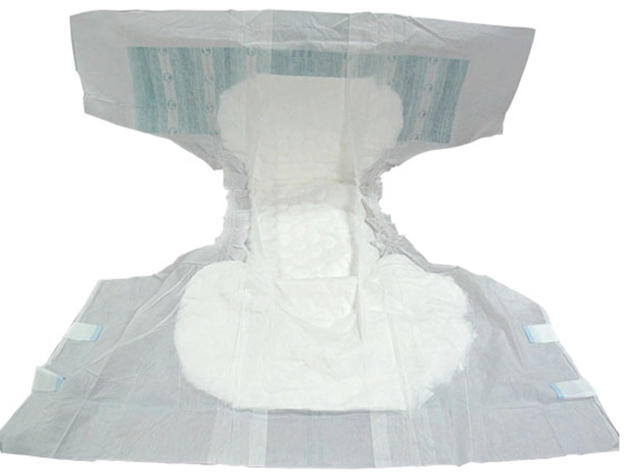 We could supply Adult Diaper with three kinds, it includes adult diaper with sticker, straight inner diaper and Calabash insert diaper. The features are: 1)Top sheet with Non woven ,make you feel very comfortable. 3)Printing PE film Back sheet. 4)Leak guard can better advoid leaking. Payment: T/T 30% in advance, 70% upon the receipt of BL copy. Delivery Date: within 30 days. Samples: Free,customer pays the postage. been sold to many countries and received high popularity worldwide,we do business on the base of mutual benefit.